Meet the Horne Family! They were found outside as strays and came in to see Dr. Lambert due to vomiting, diarrhea, and lethargy. Slowly the other siblings started to come in for the same symptoms. Due to the symptoms they were displaying, Dr. Lambert ran a stool test to check for a viral infection. 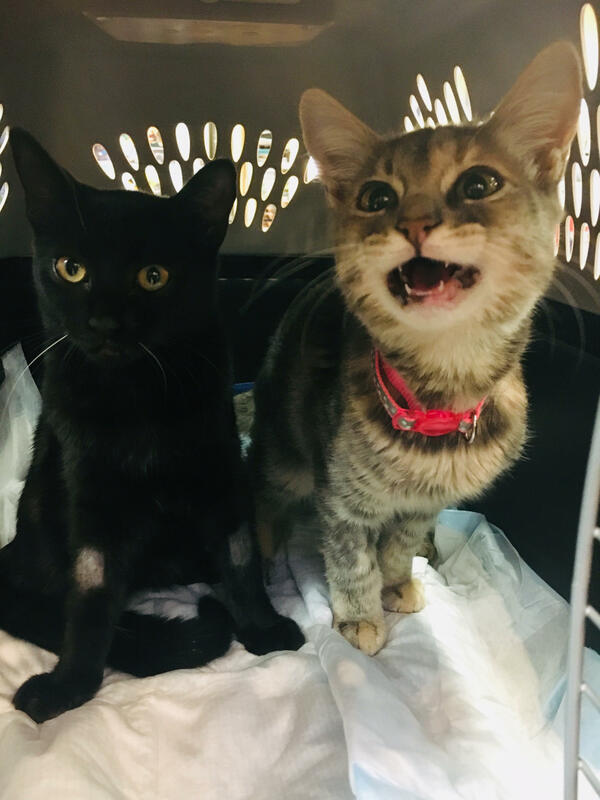 They came up positive for Feline Panleukopenia, also known as feline parvo; Symptoms include depression, lethargy, loss of appetite, fever, vomiting, and dehydration. Since most Panleukopenia deaths are due to secondary infections or dehydration resulting from diarrhea, Dr. Lambert focused on supportive care such as administering IV fluids to keep them hydrated and administering antibiotics. 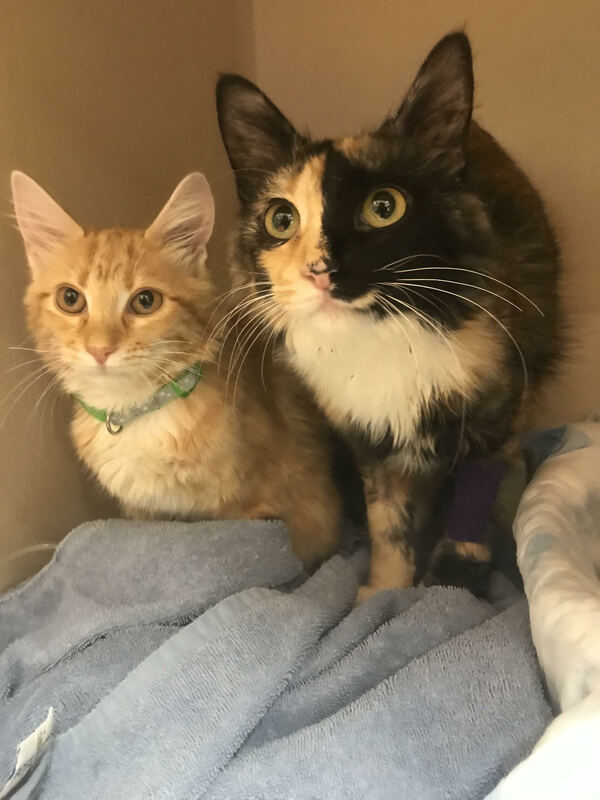 After receiving treatment and being hospitalized for a few days, they slowly started eating on their own and being more active. After four days, they were finally able to go home! They are doing great now and we hope to see them soon for their next round of vaccines. Vaccination is a critical tool for preventing Feline Panleukopenia. This can be lifesaving in environments where infectious disease exposure is common. Vaccinations can be started as early as 6 weeks of age and repeated every 3-4 weeks until 16 weeks of age. Meet Olivia! Olivia is a 2 year old Alaskan Husky. Last month she came to our clinic in poor shape. Olivia had been missing for one month and was recently reunited with her owner. She was very skinny and needed immediate attention. With the help of an iron supplement and some TLC we are happy to report that Olivia’s health has returned. Olivia’s bright attitude and “excited howling” make her a staff favorite. Next PostSpecial K-Laser Therapy Special! Dr. Lambert and her team provided excellent care and saved our “babies” lives. We will be forever grateful.